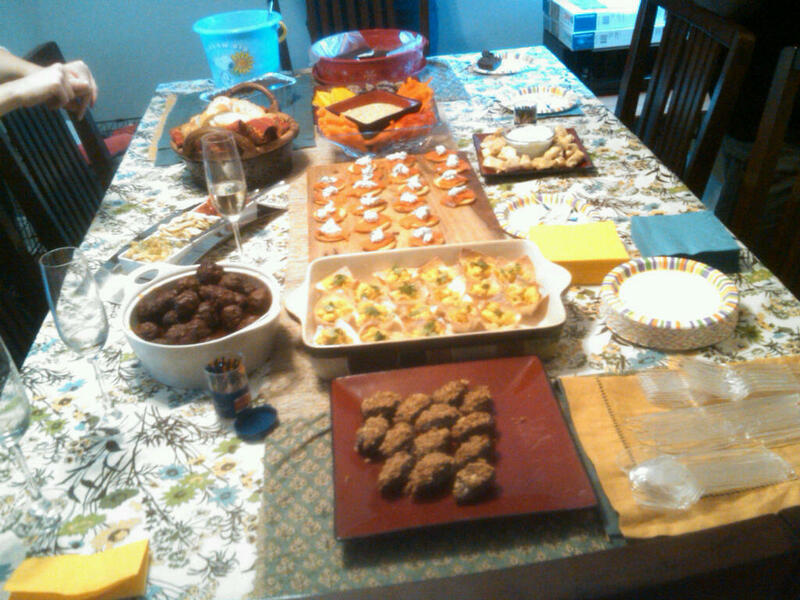 Meanwhile, we got to munching. 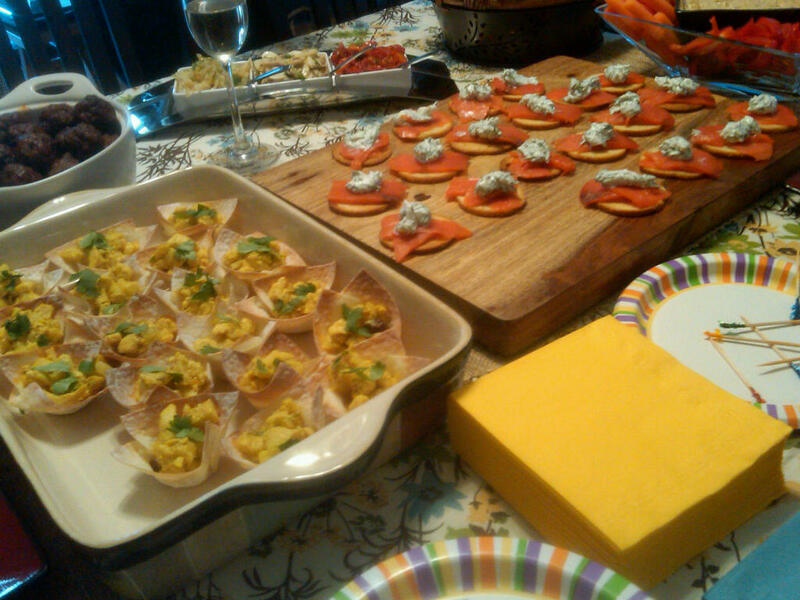 Highlights of the day included crackers topped with smoked salmon and a dill creme fraiche, olive oil and lemon poached chicken with a tzatziki dipping sauce and curried chicken salad in won ton cups. Check out this table! Ohh, how could I have forgotten about the dates?! 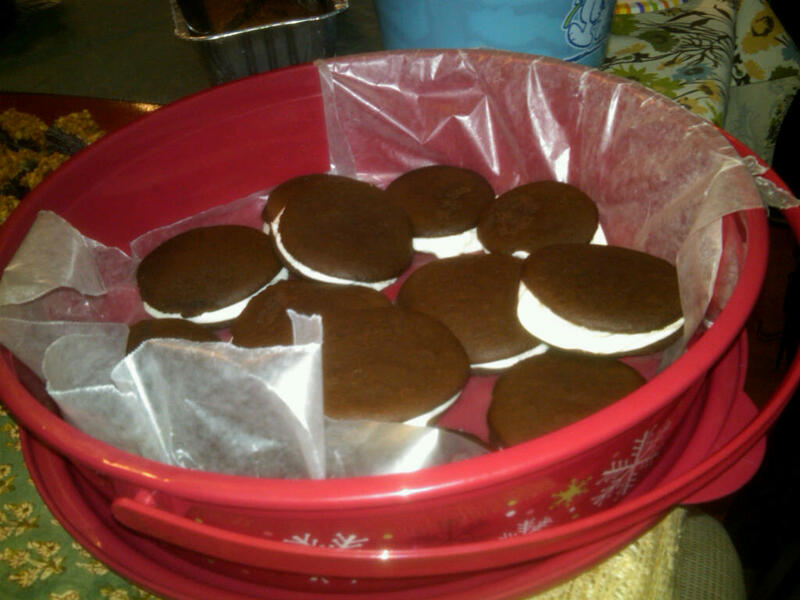 The dates were stuffed with cream cheese, caramelized onions and bacon(!!) and topped with candied pecans. Love. 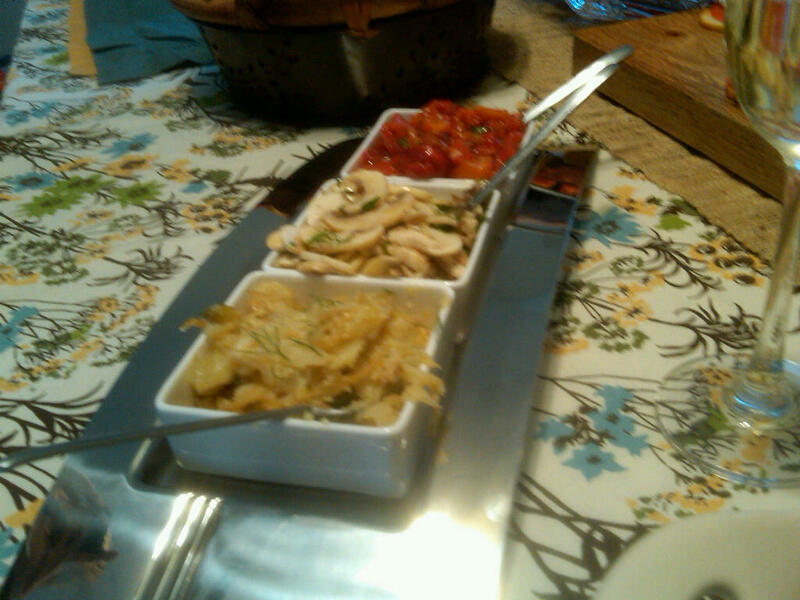 I brought a trio of bruschette–caramelized fennel & parmesan, lemony mushroom and roasted red pepper. The fennel was especially popular–and a great dish for those of us who aren’t typically fans of the licorice-y vegetable. 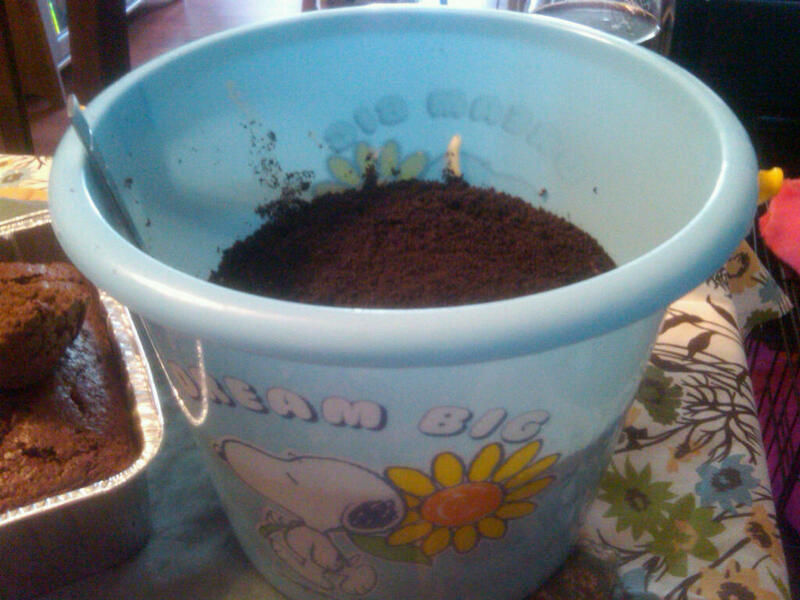 And Christine made dirt in a Snoopy pail and all. How fun! I even drank beer! 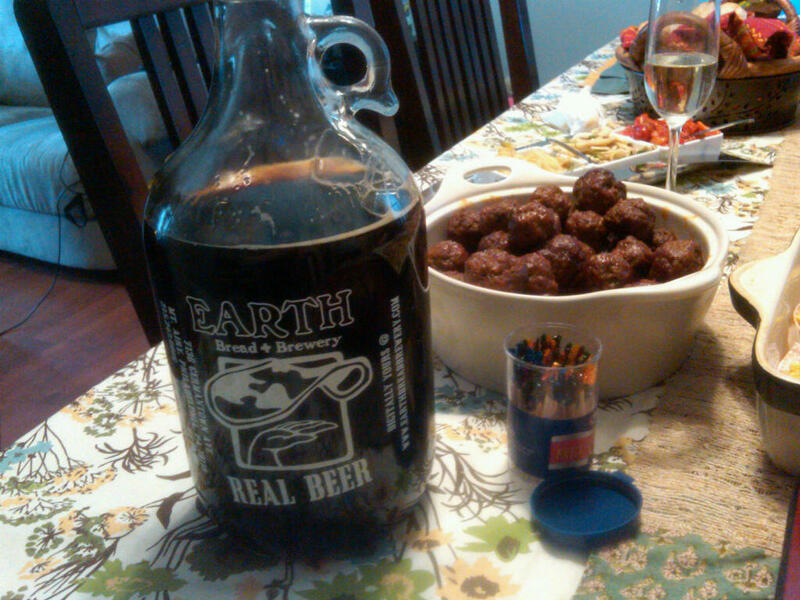 I enjoyed a Libertine black lager from Earth Bread Brewery that Christine brought in a neat growler. 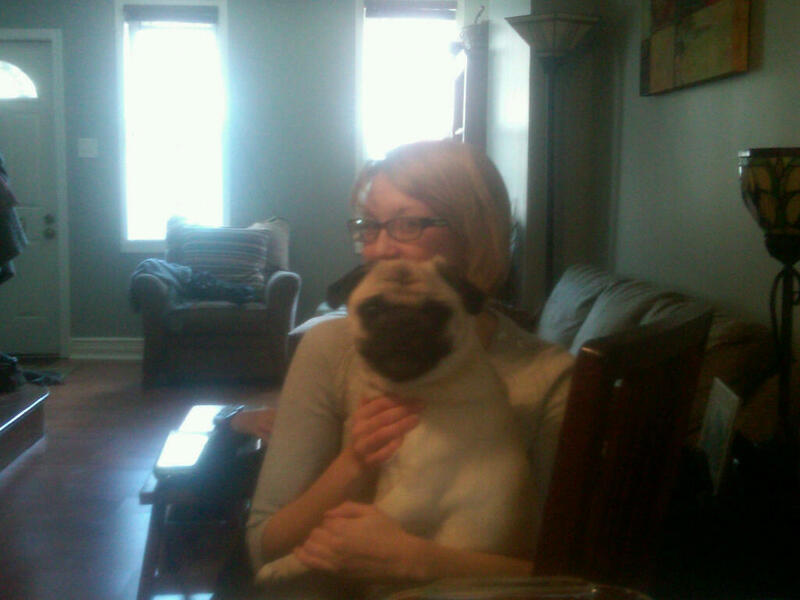 No meal is complete without a little meatball! Thanks to LeeAnne for hosting a lovely afternoon and to all the ladies for great food, drink and convo that ranged from Gilmore Girls to tattooes to Talula’s Table. What a day.